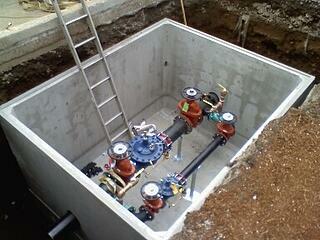 Your next project includes the design for the delivery of water for the fire sprinkler system and domestic service. You’ve designed this many times through the years. You’ve learned that double check detector backflow preventers are installed in vaults. That method has always passed plans review and you’ve probably never imagined why it wouldn’t. It's been common for decades. You’ve never heard of any risk associated with the placement of the backflow preventer. You’re certainly not alone. Staff at Safe-T-Cover spoke with a prominent civil engineer in Nashville that told us “I’ve always placed the backflow preventer in a vault and had no idea there was another option”. There are actually a few options. Some are less risky than others, but most engineers don’t even realize they exist. To do the best job and make the right choices for the project, shouldn’t you know all your options? For now, we’ll focus on one option: the vault, and just one risk associated it. Things go wrong, we all know that. No system or practice is perfect. Of course utility vaults will be the same. But at the same time, should we continue using a flawed system when there is an alternative? It's still an unpopular opinion, but we think not. People tend to repeat the things they've done in the past. Things become "standard practice" over time and no one thinks much about them. If the water utility accepts backflow preventers in vaults, and even has standard details showing backflow preventers in utility vaults, why would anyone hesitate to design them that way? If it was wrong, it wouldn't be accepted, right? Well, the water purveyors and plans reviewers are only considering the device itself. 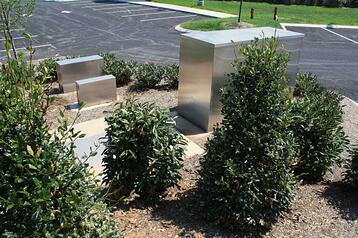 Just because they think a backflow preventer can do just fine in a vault, doesn't mean that's where it should be. Because the assemblies need annual testing as well as maintenance. Vaults flood, get covered in muck, animals make nests in them, and sometimes the backflow preventer malfunctions. People need to get into these below grade boxes to fix these issues. That's the risk with underground vaults. They are defined by OSHA as a confined space, and things do go wrong in a confined space. Sadly, when they go wrong, it often involves the death of a person. According to data collected by the U.S. Department of Labor (USDOL), Bureau of Labor Statistics (BLS) Census of Fatal Occupational Injuries (CFOI) program, fatal injuries in confined spaces fluctuated from a low of 81 in 1998 to a high of 100 in 2000 during the five-year period, averaging 92 fatalities per year. More than 4.8 million confined space entries are made each year. In addition to the deaths, 780 serious injuries are reported annually in confined spaces. Deaths can be caused by oxygen deficiency or the presence of noxious gasses. People die from combustible dusts and even radiation. The injuries occur from a wide variety of physical hazards. Remember, these are trained professionals entering vaults and other confined spaces. These deaths aren't caused by some Joe Schmoe poking around where he shouldn't. So as the civil engineer of record on the project you are working on, are you aware of the risks involved when the vault is specified for the backflow preventer? The risk of injury, the risk of loss of life, and the risk of your relationship with your valued client. Next, learn about the alternative backflow installation options. Take 30 minutes to be well informed about the confined space aspects of the vault. Is this design worth the risk when loss of life, injury, and your relationship with your client are at stake? Probably not, especially when an alternative is readily available. 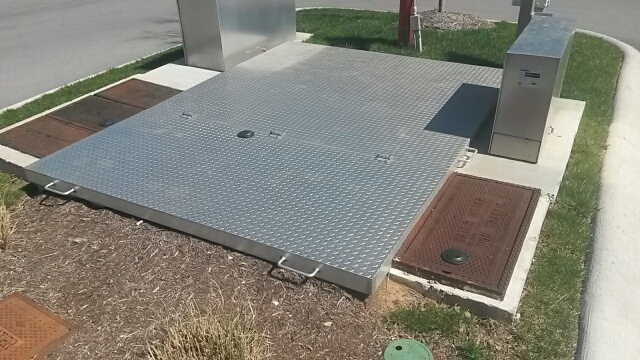 The above ground enclosure, designed and manufactured to meet the requirements of ASSE 1060 are popular in many locations across the US. They may not be common in your part of the country and therefore you might not have been aware of this option. On your current project, make the change and rest better knowing these risks have been removed. You may find this video recording of a webinar on backflow installation helpful. Here is a link to watch for free now.